Protein is by far the most important nutrient when it comes to our fitness goals. Protein provides us with amino acids — the building blocks of muscle. Without adequate protein in your diet, it will be hard to build muscle, recover from a workout or even lose body fat. It has been shown time and time again that low carb, high protein diets are far more effective for reducing body fat and gaining lean muscle mass versus high carb diets with the same calories. The only problem with protein is that getting the recommended 1g per pound of lean body mass can sometimes be a challenge, especially if you are not one for cooking and grilling! Although you might think getting your protein needs met is hard, it doesn’t have to be. 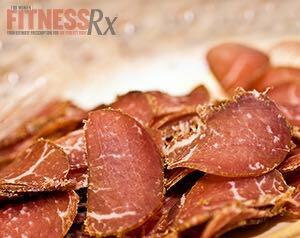 Here are 8 high protein on-the-go snack ideas. Although you might think jerky is not such a healthy protein choice, it has gone through considerable food technology changes in the last few years. Now there are a number of healthier Jerky options! Not only are there nutritional improvements, there are a variety of flavors too. You can now get Jerky that is gluten free, minimally processed, low in nitrates and even low in sodium! Just 1 oz delivers 70 calories, one gram of fat and 11 g of protein. Certainly if you are following a fitness-focused diet plan, you are more than likely already consuming protein powder. Probably the most versatile and convenient protein option when it comes to supplementing your diet is protein powder. Protein powder can be simply added to water for a quick shake, or added to your favorite recipe to up the protein content. If you are on the go, simply throw a scoop into your shaker cup, and add water when you are ready to consume. 1 scoop of protein powder delivers up to 30g of protein. Hard boiled eggs can be prepared ahead of time and can remain in your fridge for up to 5 days. 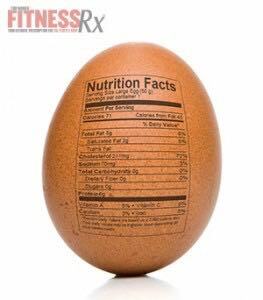 Eggs are a high biological value protein, which means that all of the protein you eat from an egg gets absorbed and utilized by the body. Hard boiled eggs can be eaten on their own or even added to a salad. Although whole eggs have lots of benefits, you can easily remove the yolk center and just eat the whites if you don’t want the additional fat! One hard-boiled egg delivers 78 calories, 5g of fat and 6g of protein! Protein pancakes are a delicious, nutritious way to get your protein in quickly. They can be cooked up ahead of time and eaten whenever you need a quick protein fix. Plus, protein pancake recipes are endless. Almost anything goes! Tired of making them with protein powder? Use egg whites and cottage cheese instead. Simply mix together ½ cup of egg whites, ½ cup of low-fat cottage cheese, ½ tsp of vanilla extract, ½ cup of oats, 1 to 2 packets of stevia for sweetness and a dash of cinnamon. If you find it hard to get all your protein needs met every day, Ready-to-Drinks or RTDs can make it easy. They provide an excellent source of high quality protein, when you need it—whether after your workout or anytime throughout the day. Since they contain a high amount of protein and can vary in carbs and fats, they can fit into almost any healthy diet plan. RTDs, unlike protein powder, do not require mixing or any preparation, simply open and drink when needed! RTDs are made from milk or caseinate protein providing their creamy texture. Caseinate is a slow digesting protein that can reduce appetite, which also makes RTDs a perfect between meal snack. They may also contain other beneficial ingredients including vitamins and minerals. 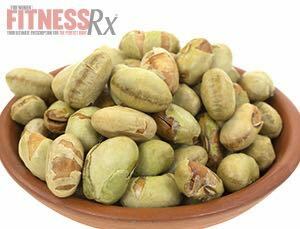 They can be used as a snack, meal replacement or a way to meet your daily protein requirements. 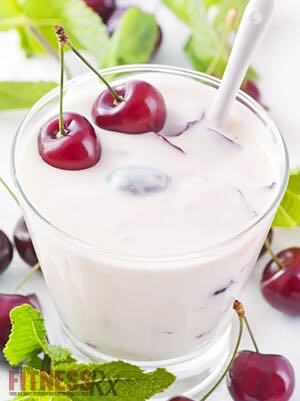 If you are tired of yogurt, try Kefir instead. Kefir is similar to an RTD, but is made from cultured yogurt instead. Kefir offers up a rich source of probiotics due to its production process, whereby milk is fermented with 10 to 12 Kefir grains of bacteria and yeast. Kefir is high in calcium, providing 20 percent of your daily value, high in B-vitamins and high in the amino acid tryptophan. One serving of Kefir contains 10.5 g of protein. Protein bars are perfect for those of you on-the-go. If you don’t have time to make every healthy meal everyday or are tired of eating the same old stuff, a protein bar can provide you with quick nutrition when you need it. What’s more, nowadays you can get high quality protein bars made with whole ingredients, Paleo-friendly, gluten-free or even low carb. There are options for every nutrition plan! Depending on the calorie count, protein bars can be used to replace a meal or used as a small snack. Protein bars can also provide other ingredients like vitamins, minerals and good-for-you fats! Calorie counts can range from 250 to 350 if replacing a meal, or 150 to 200 calories for snack options. They can provide high quality blends of protein including whey, soy or caseinate, along with good quality carb sources such as whole grains, oats and insoluble fibers. Edamame are soybeans that have been harvested before they have fully matured. Roasted edamame provide a source of fiber, vitamins, minerals antioxidants and a crunchy texture! If you are tired of eating nuts, try roasted edamame. Each ¼ cup serving delivers 14g of protein. Look for low sodium or sodium free roasted edamame. Eat them on their own as a healthy snack or throw them on a salad to up the protein content. If you would rather make your own, place your fresh edamame on a non-stick baking sheet. Coat the edamame with olive oil and chili spice and/or salt. Roast in a preheated 400 F oven for 15 minutes—tossing every few minutes to avoid burning. Remove from oven and let cool before storing them to serve later.